It’s always exciting to see celebrities release new clothing lines. You get a first-hand view of what inspires them, and it just may inspire you as well. Successful celebrity clothing brands typically aren’t anything new, given the success of fashion lines ranging from Jessica Simpson, Rihanna, Beyoncé and the Kardashians. 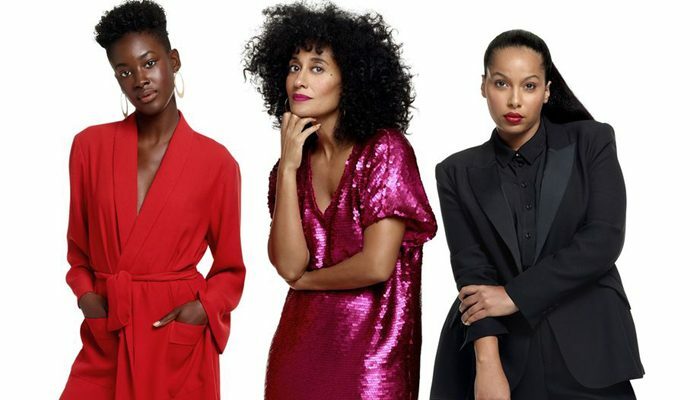 Well, move aside ladies because award-winning actress Tracee Ellis Ross’s new holiday collection is now available at JC Penney in store and online. If you’re familiar with the former Girlfriends television sitcom and current Black-ish star, then you know she’s quirky, hilarious and loves fashion. Her personality definitely shows through her new collection and it doesn’t hurt that Ross is a former model with a deep understanding of the fashion industry. The limited-time collection boasts over 40 pieces of clothing ranging from sleepwear to athleisure, and evening wear to trousers. She’s even added home accessories to her new line. One of the most popular pieces from her collection is the glow short-sleeve reversible sequin dress in gold. It’s a stylish and comfortable option for a night out on the town. Ross’s collection for JC Penney has been flying off the shelves, so you might want to get your hands on your favorite items right away. For more information on the collection visit JCPenney.com.